3 Bedroom Terraced House To Rent in Stockton-on-Tees for £500 per Calendar Month. 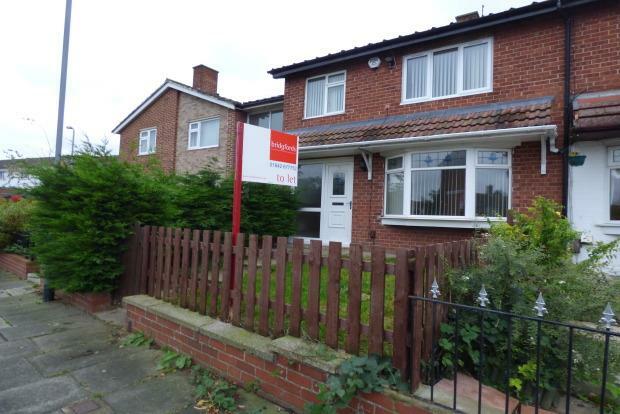 Well presented, spacious three bedroom property close to North Tees Hospital. On entering this lovely family home there is a good sized hallway, which is decorated neutrally with feature wallpaper. The hallway leads to the lounge which is spacious and light. There is a good size bay window, neutrally decorated walls and carpet. Also leading from the hallway is a dining room which is the ideal space for everyday family meals or entertaining friends. The dining room leads to the kitchen which has a great range of wooden wall and base units. There is access to the rear yard from the kitchen. Upstairs, the landing leads to a family bathroom complete with white suite to include hand basin and bath with shower overhead. There is a separate WC. Three good sized, neutrally decorated bedrooms. Externally the property has a lawned front garden and rear yard. Priced at an affordable rent and situated in an area of demand this property is sure to attract interest - call today to book your viewing. Lounge 12' x 12'10" (3.66m x 3.91m). Dining Room 8'11" x 9'2" (2.72m x 2.8m). Kitchen 9'2" x 9'2" (2.8m x 2.8m). Bedroom One 12' x 12'10" (3.66m x 3.91m). Bedroom Two 11'11" x 6'8" (3.63m x 2.03m). Bedroom Three 7'10" x 8'4" (2.39m x 2.54m). Bathroom 3'10" x 3'2" (1.17m x 0.97m).